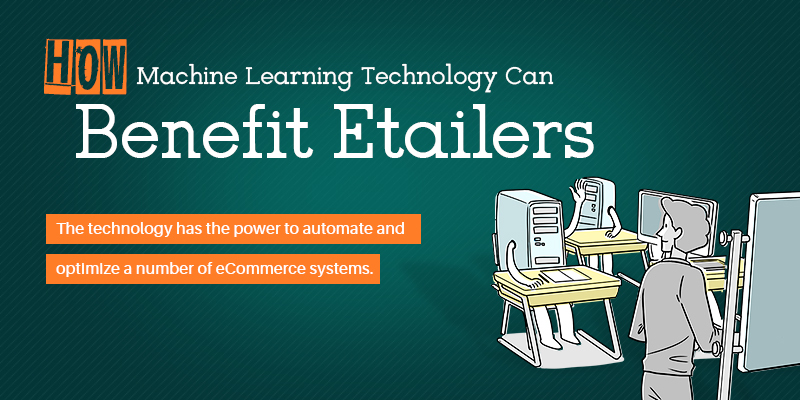 How Machine Learning Technology Can Benefit Etailers? The advancement of technology and the increase in the competition among the eCommerce business enterprises has led to innovations that not just promote the businesses, but define your brand as a whole. 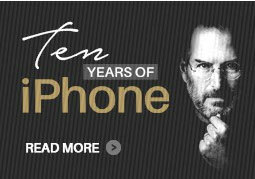 One such innovation is machine learning technology. Being an auxiliary of Artificial Intelligence (AI), Machine Learning Technology is slowly growing popular in business enterprises, especially internet based businesses as they can contribute to the growth of sales. Machine learning technology is based on machine learning algorithms that are formulated to discover the patterns and trends in any set of data without the requirement of an explicit program. Though there are a few limitations to the machine learning technology, the technology has the power to automate and optimize a number of eCommerce systems. Enhanced Customer Service Through Intelligent Chatbots : A superior customer service involves interaction with customers, which forms the major reason for chat systems to work well in eCommerce. In the normal web technology, when a customer puts forward a question, a customer service representative answers to provide a good shopping experience. It becomes a challenge for small and medium size online retail business to manage customer service representatives and to monitor chats. Adapting to machine learning can help in implementing an intelligent chatbot that can answer all the basic questions put forth by the customers. The chatbots learn how the help customers with the right information and manages the onsite chat sessions. It can also be trained to post and support customers on a various social media platform. Better Product Search : Machine learning technology can drastically improve the product search by generating search results that are not just relevant for the shoppers, but also increase your onsite product visibility. Machine learning algorithms in addition to keywords and synonyms focus on conversion rates, click rates, product inventory/margin, and customer ratings. These algorithms understand what the shopper is looking for instead of just understanding what the shopper has typed. Thus, these systems provide product search results that your shoppers are likely to want and buy. Superior Onsite Merchandising : Recommending products is one of the most powerful ways of onsite merchandising for etailers. The machine learning systems ensure a dramatic improvement in the conversion rates and customer satisfaction. Unlike the current product recommendation technologies, machine learning technology considers the buying habits of your shoppers and the comparison factor between similar products in your online store to provide intelligent recommendation to your shoppers, paving a way for increased sales and profits. Best Product Pricing : The algorithms used in machine learning technology can analyze and understand the demand for a product, customer behavior and pricing trends to set the best price for a product in order to increase the profit and achieve the goals of your eCommerce business. Detection And Prevention Of Frauds : Management of fraudulent transaction is quite a challenging task for large sized etailers. A number of etailers spend a huge part of their profits to purchase the best fraud detection software for their business, which even after implementation does not provide the best results. The machine learning systems analyze the fraud patterns and resolve the issue by predicting the fraud patterns. Wise Business Decisions : The machine learning technology can also contribute to the process of decision making in the eCommerce businesses. They can predict the demand for a product, identify the inventory problems, classify products and identify the keywords, manage marketing campaigns, estimate the costs for shipping and packing, and improve the classification of customers. If you are looking forward to dramatically increase the profit margin and seek a top place in the eCommerce market, it is a must for you to implement machine learning technology for your online retail business.